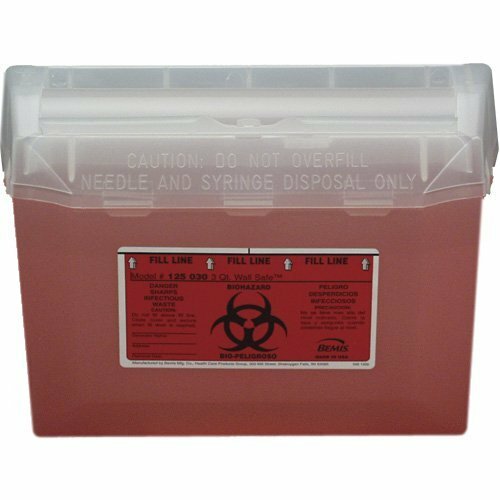 The rotating cylinder top permits convenient, one-handed disposal of sharps. The rotating lid automatically drops needles and syringes in a horizontal position to maximize capacity. Lid remains closed when not in use. A built-in needle key permits removal of needles when necessary. Units lock onto a wall bracket and remove with a master bracket key.